By helping strengthen local leadership and bridge the humanitarian-development divide, Oxfam hopes to transform the aid system. “When you think about your home, you don’t say ‘I care about running water but not about whether 911 works,’” said Oxfam policy adviser Michelle Strucke the other day. 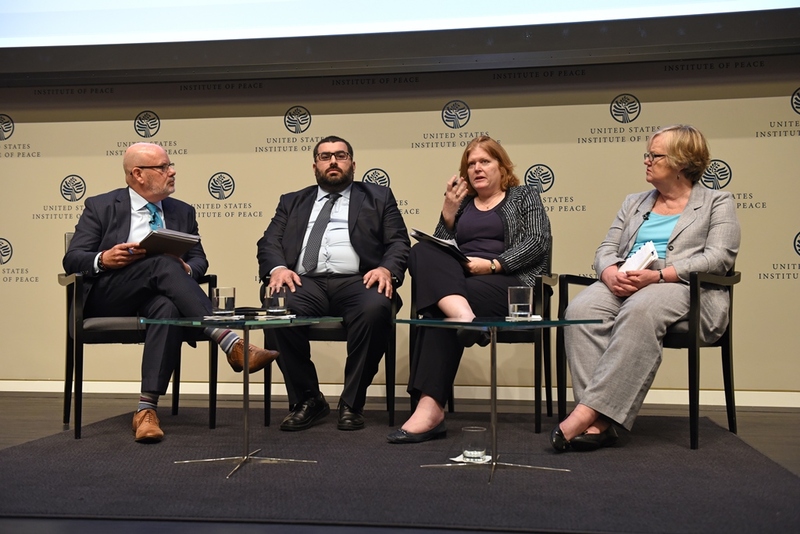 “You need basic services and emergency services—not one or the other.” We had just emerged from an event at the United States Institute of Peace (USIP) called “A world on fire: strengthening humanitarian response,” and were discussing one of the key topics of the day—the illogical division between the humanitarian and development worlds. 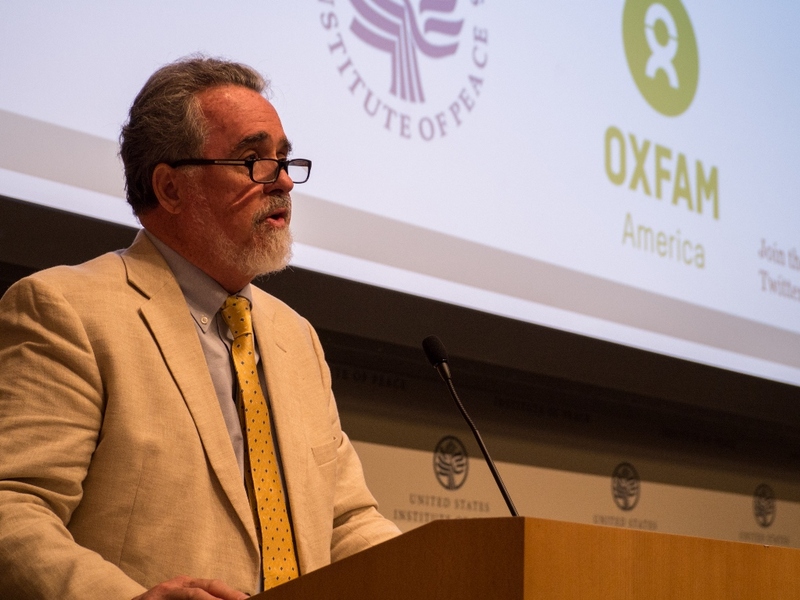 In his opening remarks, Oxfam America President Ray Offenheiser had put it another way: the current humanitarian system doesn’t reflect urgent 21st –century realities like climate change, which can only be mitigated by the combined efforts of the humanitarian and development communities. 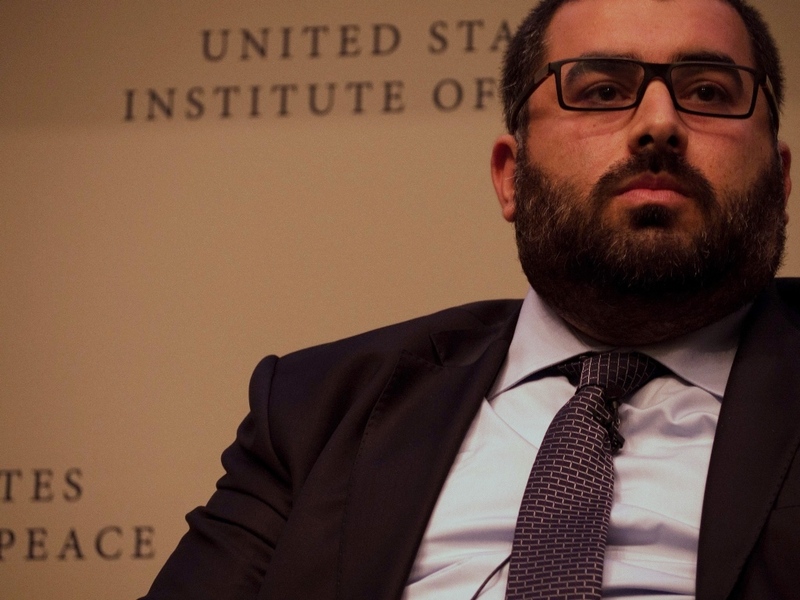 And Fadi Hallisso brought the issue home—to Syria. Hallisso, who was also a panelist at the USIP event, is from Aleppo. In 2012 he helped found the Lebanese NGO Basmeh and Zeitooneh to assist refugees from Syria. After the USIP event, he explained to me that there are camps in Syria near the Turkish border where displaced people have been living for three years. The settlements are easy to access and relatively safe, but because humanitarians are focused on emergency response, residents have food but lack roads, water infrastructure, education opportunities, and other hallmarks of early recovery. Hallisso went on to talk about another fundamental flaw in the humanitarian system that makes the job of local groups like his harder than it needs to be. Local actors are the first responders, he reminded me. They have access to places international responders can’t reach. They understand what people need and can mobilize their communities and the diaspora. Yet they find themselves pressured to implement short-term projects that are heavily influenced by the agendas of INGOs and other international actors. What’s more, the INGOs that fund groups like his are reluctant to help cover overhead expenses, which makes it hard, for example, to hire and retain qualified staff. If local groups had direct access to donor governments and institutional donors, he thinks that would change. Oxfam is advocating for changes in US aid policy to help bridge the humanitarian-development divide, and to boost direct funding of local actors in countries that are highly vulnerable to disasters. We are working with lawmakers to develop a piece of legislation—the STRIDE for Self-Reliance Act—that will enable the US government to direct some of its development funding to local actors (civil society groups, responsible governments, and the private sector) to help them become stronger disaster managers. (Good disaster management helps “disaster-proof” development projects, so everyone wins.) Our short-term goal: help three to five countries achieve what we call disaster self-reliance—the ability to handle everything from preparedness to response to risk reduction without the need for international aid providers. The idea that humanitarian and development funds and activities belong in separate worlds is entrenched, as is the notion that disaster-affected countries must forever be dependent on the international humanitarian community. But these ideas are deeply flawed, and with the STRIDE Act, we plan to challenge them. No amount of humanitarian or development aid will stop the war in Syria, and the failure of the international community to end the bloodshed sits heavily on Hallisso. Organizations like Basmeh and Zeitooneh will be critical to the country’s recovery, but this brutal, interminable conflict is a test of their endurance. 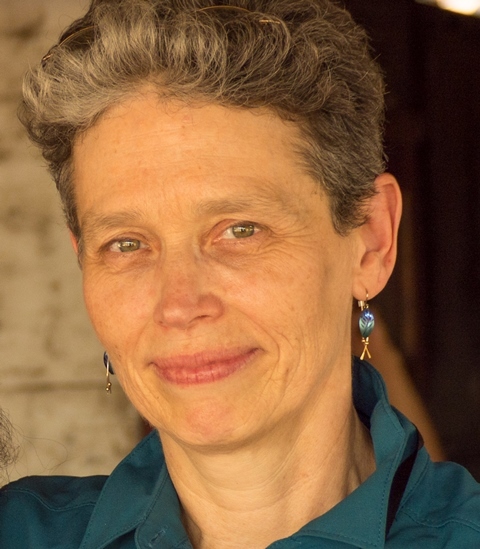 Elizabeth Stevens is a Humanitarian Communications Officer at Oxfam America.